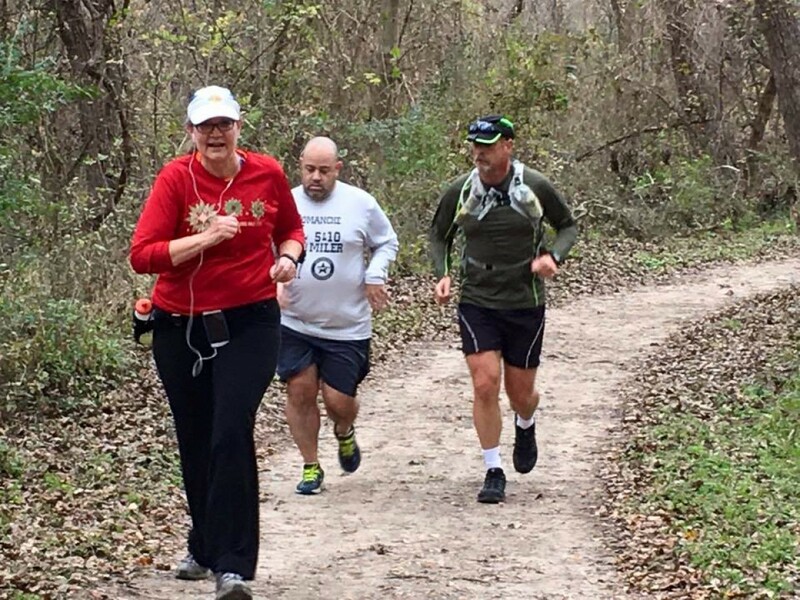 The SARR Prickly Pear offers 50K, 10 mile, and 5K distances run on the trails of McAllister Park. 50K starts at 7am and is three 10 mile loops, plus a mile out and back at the beginning. 10 mile starts at 8am and is one 10 mile loop. 5K starts at 8:30am. Course Cut-Off time is 3pm. There will be three water stations on the course, and an aid station/bag drop located next to finish line water stop for access during your 50K race. The trails at McAllister Park are easy to moderate, unless it’s wet—then there is a possibility of mud and water crossings. Please give a hoot and don’t pollute the trails, please dispose of your trash at water stops or carry with you. Three 10 mi loops with a short out and back to an aid / drop bag station in each.